BRUSSELS (AP) — Belgian police shot and wounded a man who attacked one of the officers with a knife on Monday in a northern neighborhood of the capital city, Brussels. 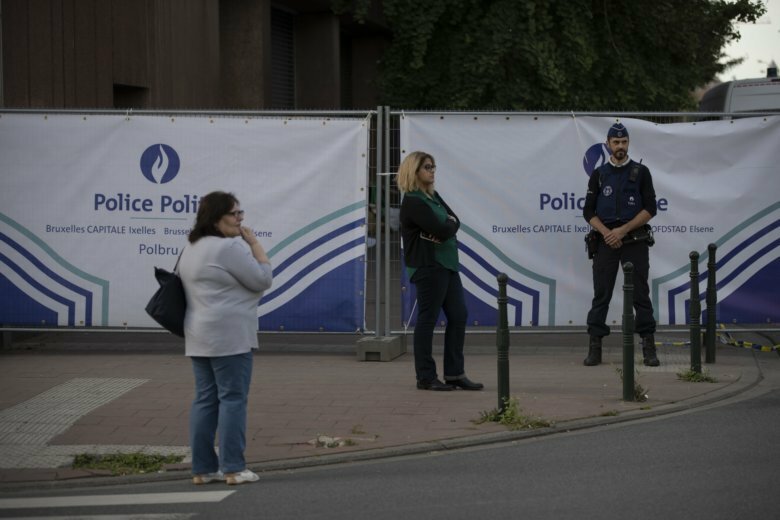 “The man attacked one of our colleagues with a knife,” slightly wounding the officer on the head, said Brussels police spokeswoman Ilse Van De Keere. The spokeswoman for the Brussels prosecutor’s office, Ine Van Wymersch, said the incident did not appear to be terror related. Prosecutors said in a statement that the man, who was not identified, had pulled out the knife when police tried to get him to move away from some government offices. Three shots were fired at him after he struck one of the officers. “The suspect was hit by a bullet in the body and another in the leg. He is in critical condition,” the statement said. An investigation has been launched. A local resident, who would only identify himself as Aziz, told The Associated Press that he heard up to three shots. The incident happened near a park where migrants routinely camp while their applications for residency permits are assessed nearby.